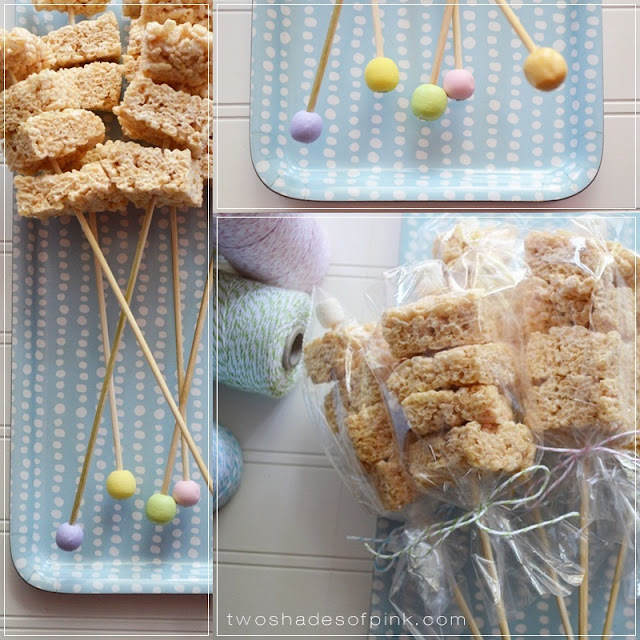 Two Shades of Pink: Pretty Skewers for Yummy Treats! Pretty Skewers for Yummy Treats! Happy Good Friday my sweet friends! This day is a precious one as I ponder what my Savior did for me on this very day. I think of Him confronting death in the face, being rejected by His Father, and suffering tremendous pain. And He did it willingly. For me. And you. I am in awe of His love. So I do wonder how many of you are actually reading blogs on this often busy weekend. But I came up with a really cute, last minute Easter favor for the kiddos or the kid at heart. These DIY Wood Skewers are made simply by painting and gluing wood beads on the end. You need pastel paint (or any paint of your choice), paintbrush, glue gun, some wood beads (preferably unfinished), and some bamboo skewers. I could not figure out a simple way to paint these without smudging or spinning them. So I stuck two wooden beads on either side of a Q-tip to paint them. I pulled off some of the cotton until I knew it would fit but snugly. Then I dried them with a hair dryer. That's right people. We can find craft supplies in the loo. After the beads are dry, I put a little hot glue inside the wood bead and them pushed the blunt end of the skewer in and held it a few seconds until set. Now make some Rice Krispies Treats. I personally could eat a whole pan with no regret. I love them! Now just cut out some small squares and put your sweet kebabs together! I topped them off with a mini marshmallow, (so they would not poke an eye out or through the bags) wrapped them in cellophane, and tied them off with baker's twine. A great treat for family, neighbors, friends, or a homemade treat for the Easter basket. I hope you enjoyed this and that you enjoy the precious time of Easter. Hugs and so much love to each of you! Hi Peggy! Yes that was what I meant by shapes! I think these would look fabulous with cookie cutter shapes! I was just going simple but I think they would be much prettier as little flowers or something. Thank you for a lovely note from you! Hugs! How adorable! Such a cute idea. Thank you! leave it to you to find a way to make rice krispies treats even better. :) those are so cute!! Wow great idea! 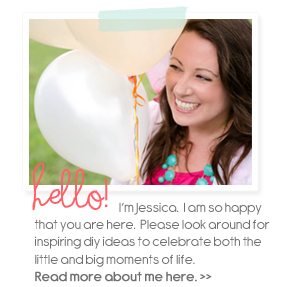 I love your blog and I am so happy I found it. Those are the prettiest rice crispy treats I've ever seen!! Love those skewers! Loved the creative way you figured out how to paint them!!! qtips! Gotta love it! They turned out adorable, of course! I expect nothing less. no pressure. Happy Easter to you and your beautiful family. He is Risen! I see I have a lot to catch up on!!! Bo has been hogging the computer! I want you to know I only ever always open to two bloggers newsletters on a regular basis and yours is one of them. If I can't open it right away (like this one), I always save it because I know there will be something cute & fun and doable in your post. While I am not Christian, I appreciate your faith and the words you express. You do it with no judgment & pure love and I find that is the true meaning behind your faith. I love this!! makes rice krispie treats even better!!! So adorable...you are so clever! happy week to you. You crack me up! It is amazing how we find ways to improvise...and your idea worked perfectly! Thanks for your inspiration!